Just wondering what made you drop the ZOMBIE? 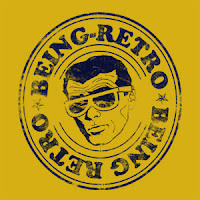 I like the new tag of Being Retro...it's cool. The mustard is alright too. It does show mustard on my screen and is easy on the eyes on your grey background. thank you... i was only bringing one type of crowd and many told me over the last several years that they don't like zombies. That they would not follow me, i am okay with that... I will still cover everything, just wanted to be more than one zombie stop... new name, new me... old stuff, being retro stuff. I like the new name and the yellow looks just fine. Easy on the eyes! No, this is perfect - the mustard and dark grey. Almost yellow and black! Perfect, Jeremy. I thought I might as well um "jump" over to your site. Did that Van Halen reference work? Oh well, I like the yellow colour (color) oops and I'm really going retro and thinking of a song by Donovan..."they call me mellow yellow...quite right..."
Nice one and enjoy your Sunday. You will always be the Zombie to me!